The annual design conference included an impressive list of guest speakers, and was under the theme “identity”. 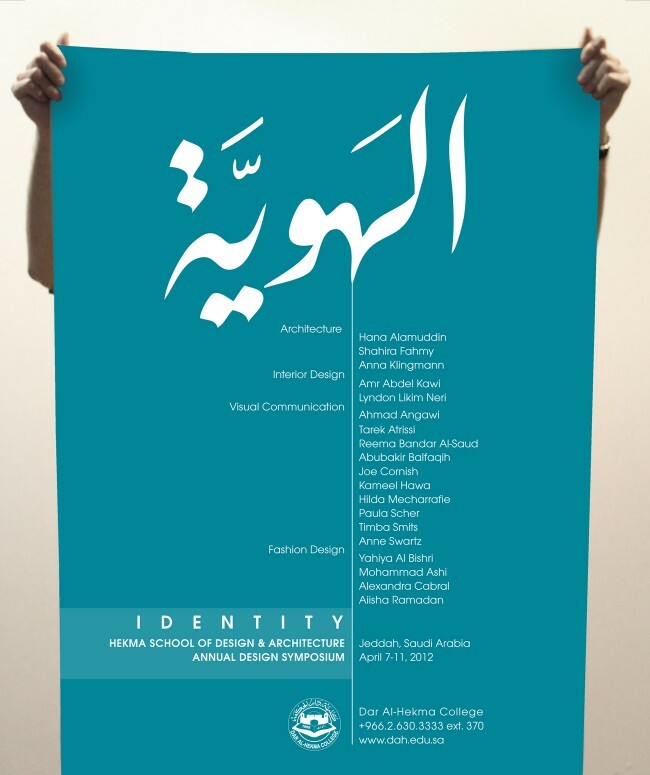 Designing a look and feel for the event was a challenging task: how do we design an identity for a conference with the theme “identity?” A typographic solution was adopted, where the Arabic word Al-Hawiya (Identity), keeps changing in style and character to reflect different personalities (through various calligraphic, typographic, or lettering solutions). This was a fun typographic exercise that constantly changes with the expansion of the identity. 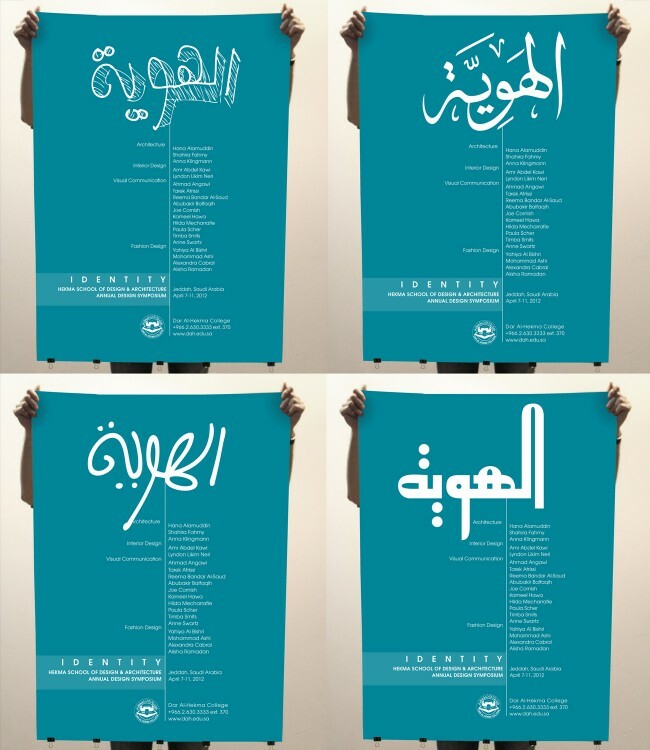 The end result was a series of posters that are clearly under one graphic system yet that are changing constantly and allowing design and typographic experimentation. The poster series was featured in several design magazines and books.